You are here: Home / Get a Law Job! Law school isn’t like college. As an undergrad, you could spend your summers in a variety of different ways. Maybe you’d intern, maybe you’d get a menial job to pay some bills, maybe you’d travel, or maybe you’d do nothing at all. Some of these might have been better options than others, but how you spent your summers really didn’t matter all that much in the grand scheme of things. That’s not the case in law school. As a law student, your summer jobs are critically important, particularly after the second year. Below, you’ll find lots of advice on deciding what type of legal job you want, and getting it — in school and afterwards. And, if you want some one-on-one help, check out our career coaching options at CareerDicta.com. Looking for a job? Read on for résumé tips, advice on how to conduct great informational interviews, and more! You’ll also find some of our favorite job-search podcasts from the Law School Toolbox podcast. Need a summer job? Here’s advice on getting a summer associate position via OCI, and for succeeding once you have the job. You’ll also find tips for 1L job hunting and public interest work and some of our favorite summer-job-related podcast episodes from the Law School Toolbox podcast. Thinking about applying for a judicial clerkship? Check out this handy guide to putting together the strongest clerkship application, handling judicial clerkship interviews, and dealing with the aftermath, if thing don’t go as expected. You Didn’t Get a Clerkship, Now What? When it comes to finding a job and building a career, a lot of it comes down to how you present yourself. Below you’ll find advice on marketing yourself and networking (the horror!) and for building a solid, professional online presence. Don’t have a job offer as graduation approaches? 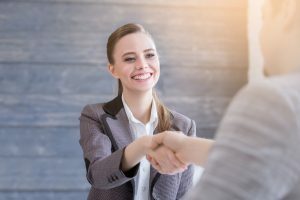 Read on for a practical series on job hunting as a 3L or recent law school graduate, and for suggestions on overcoming less than great grades or a low law school ranking. Not sure what type of law you want to practice? Here are some different viewpoints on large law firms, public interest work, and small firm and solo practice. So maybe you’ve realized a “traditional” legal career isn’t for you. That’s okay! There are lots of ways to use a law degree, as the posts below explore. You’re out of law school, so now what? Welcome to reality. How can you deal with students loans and settle into a satisfactory life as an attorney? We’ve got suggestions! As a law student or young attorney, you need all the help you can get! Here are strategies for finding mentors and sponsors, and for working with legal recruiters. Law can be a rough profession, and you’re sure to encounter some bumps in your career. Thinking early about what “success” means to you, and how you plan to get there can help you weather the tough times and keep moving forward. Law school teaches you a lot of law, but doesn’t necessarily teach you much about the realities of legal practice. Not to worry! We’ve got lots of real-life stories of practice, along with strategies and advice for charting your own path as a lawyer. Want timely career advice sent right to you? Join our free mailing list today!